Yes, I could download them to my phone or laptop and then cast them using any app I wanted, but the end result would be a lot of clutter and storage space used up for an episode I would only watch once. CastNow, a command line utility by Reddit user xatxat, can handle pretty much any file type you throw at it. Since this is based off of the Node.js runtime, it can run on any Mac, Windows, or Linux computer that has node and npm commands installed. 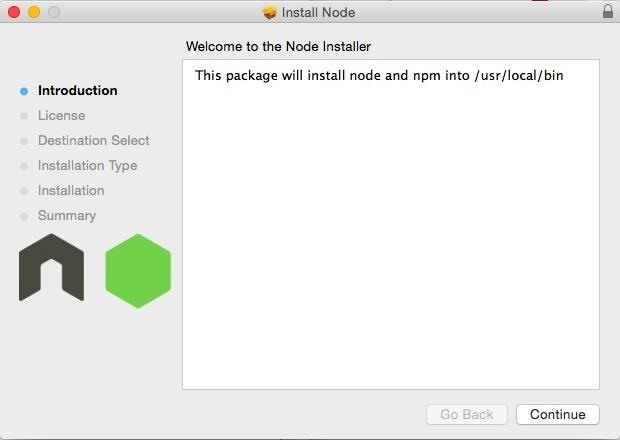 If you do not have the Node.js runtime already installed on your computer, you can use the linked package files below to install it. I will be using a Mac to perform this install, but don't worry, the same exact commands will work on Windows and Linux. You'll know you did it right when you see the "Checking connectivity... done" message. Immediately after inputting that command, you will need to enter your password and confirm with the Enter key. CastNow comes with plenty of options for getting content to your Chromecast, so use the following list to get the most out of your new plugin. 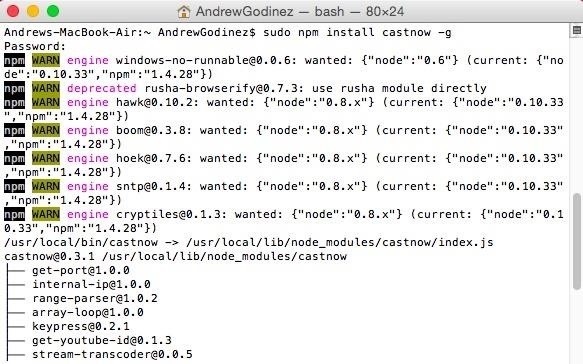 If you ever find yourself disconnected from CastNow, you can reestablish the connection by typing "castnow" into a Terminal window. While a video or song is playing, a timeline will display underneath the last command you entered. From that timeline, you can control the playback of your media. Also, you can Add Subtitles to a Video with the following two commands. This may not be the prettiest option for casting, but if your aim is to keep your system as bloat-free and fast as possible, while also having the ability to cast nearly anything, this is definitely a Chromecast extension you need. Let us know what you think of CastNow in the comment section below. One word. Plex. That will be all. i just have 1 question, can we create a slideshow with this app? Or just read .jpg ? This is more meant for videos. You can use this extension to cast pictures.